Invitation to Prof. Emmanuel Gaillard's lecture on "Arbitration: A mature system of dispute resolution?" "Arbitration: A mature system of dispute resolution?" at Juridicum Dachgeschoss (Schottenbastei 10-16, 1010 Vienna). Emmanuel Gaillard founded and heads Shearman & Sterling's 100-lawyers International Arbitration practice. Over the course of his career, Emmanuel Gaillard has acted on many of the largest international disputes submitted to arbitration, including the Yukos and Dow Chemical cases. Emmanuel Gaillard is a Visiting Professor of Law at Yale Law School. 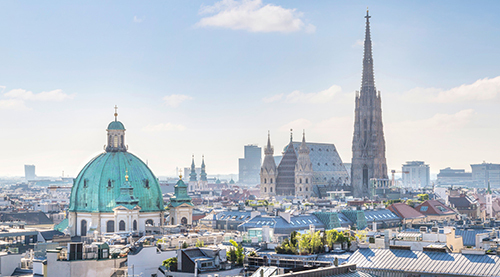 The lecture is jointly organized by the Vienna University of Economics and Business, the University of Vienna and Arb|Aut. Please click here to view the joint invitation. After a short welcome note held by Prof. Paul Oberhammer (Dean of the University of Vienna), Prof. Gaillard will discuss current issues of international arbitration including his latest research on competence-competence. After the lecture there is time for questions and further discussion. The lecture is followed by refreshments. Seats will be limited. We kindly ask you to indicate your attendance via online registration.